How many decisions do you make in a day? According to various internet sources, the average adult is estimated to make 35,000 decisions a day. Some of the tougher decisions include what to wear, or what to order from our delicious lunch menu. 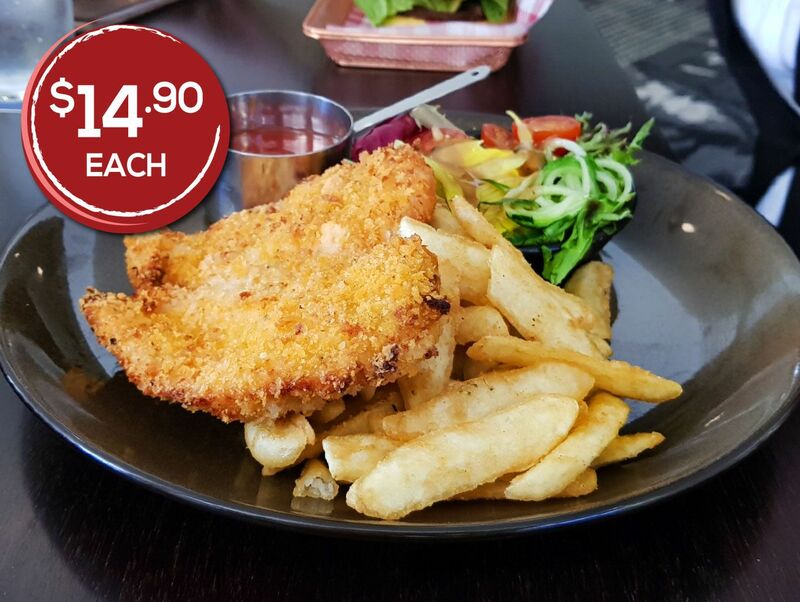 Chicken Schnitzel, Salt & Pepper Calamari or 200gram grain-fed rump for only $14.90 each. Served with hot chips, fresh salad and sauce to compliment your meal. It can be hard to pick a favourite, but whatever choice you make, these specials are available every day, so there is always the option to treat yourself to another. Whether you decide to indulge alone or enjoy with friends, the RedBrick Hotel is the perfect place to relax. Feeling hungry? The team at the RedBrick Hotel are happy to oblige, with lunch service from 11:30am – 2:30pm. Book your table by phoning (07) 3844 3236.